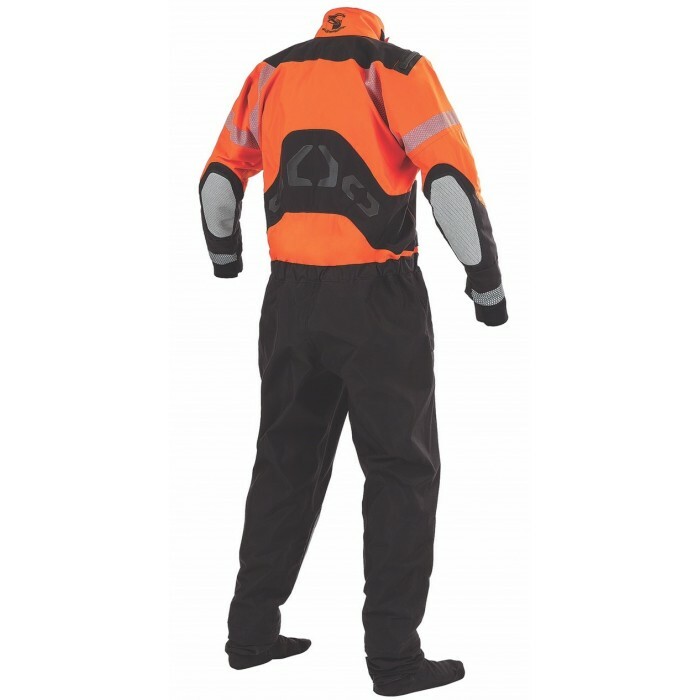 Achieve durable comfort in the water – and on the job – with the Stearns® Rapid Rescue Extreme™ Surface Suit. 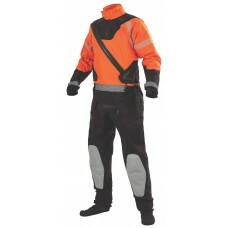 ✔ Developed with ultra-breathable fabric and internal suspenders that keep the suit in place, this suit provides the best in optimum comfort that stays put. ✔ A quick-access entry zipper and built-in waterproof socks make for rapid dressing, while latex seals and neoprene seal protectors around the neck and wrists prevent water from entering the suit—keeping you warm, dry and equipped to perform. ✔ As you move in the water, you will find the added relief zipper and air purge valve allow for the instant release of pent up air, and reflective tape around the wrists increase visibility, helping others see you. 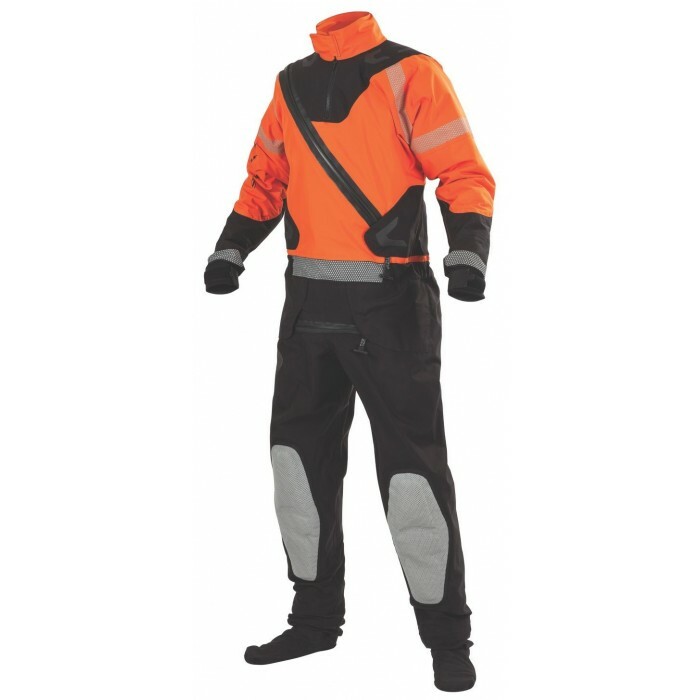 ✔ Reinforced Polyurethane fabric knees and elbows offer added durability too, ensuring your dry suit stands up to the severity of water rescue wear for years to come. Not intended for prolonged immersion, recommended for surface rescue only. Does not provide buoyancy characteristics.